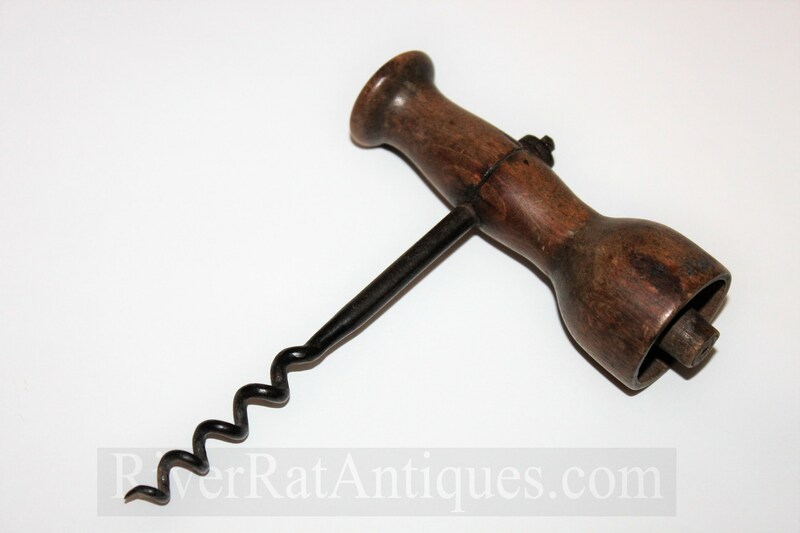 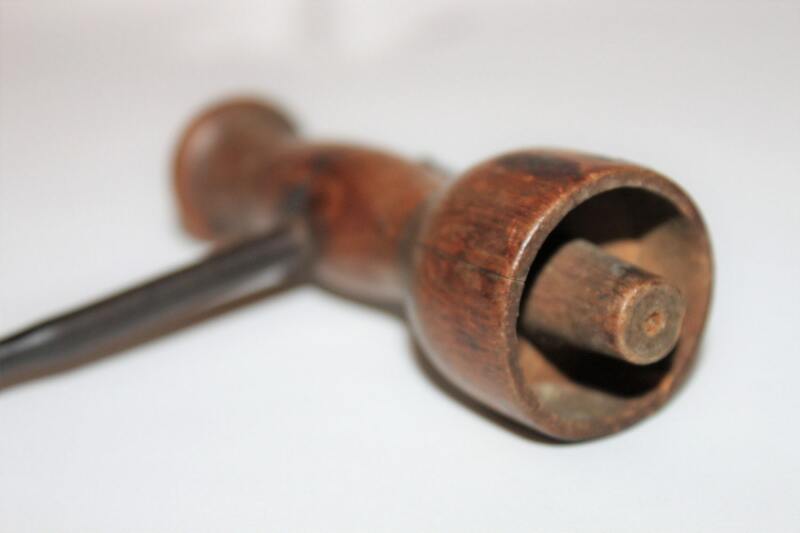 We have for sale an Antique English Codd Bottle Opener with Corkscrew. 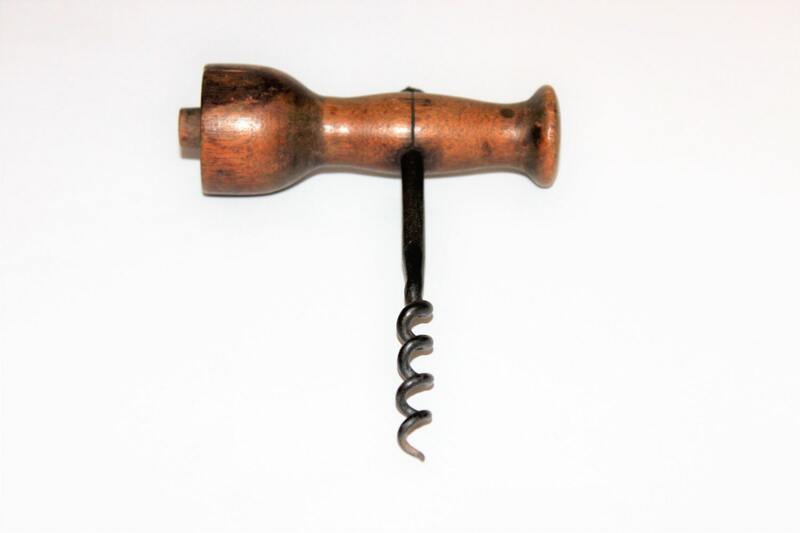 This is a unique find the funny shaped handle actually has a purpose it is a Codd Bottle Opener. 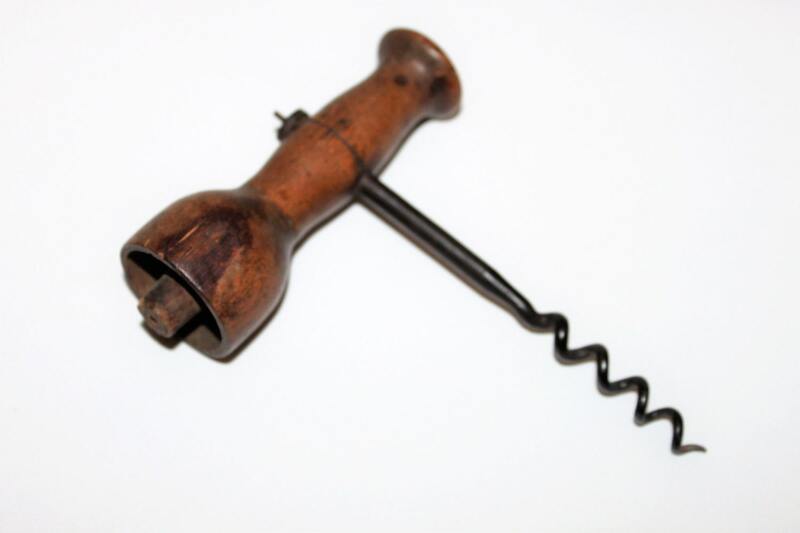 The Codd bottle was an English design from the 1870s the bottle was designed with a glass ball or marble in the neck of the bottle held in place by the gas or carbonation in the bottle, you would place the Codd handle on top of the bottle and press the glass ball into the bottle releasing the gas. 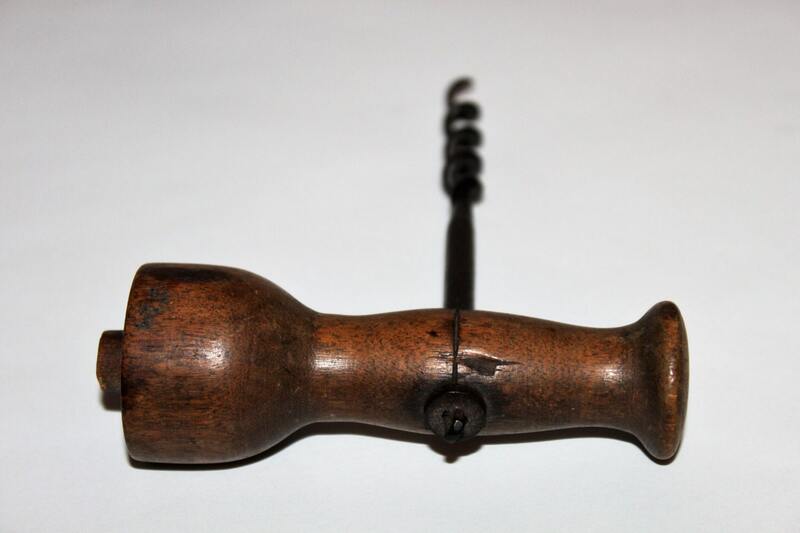 Condition is good , normal wear for age, couple of normal small cracks around the wood Codd handle.